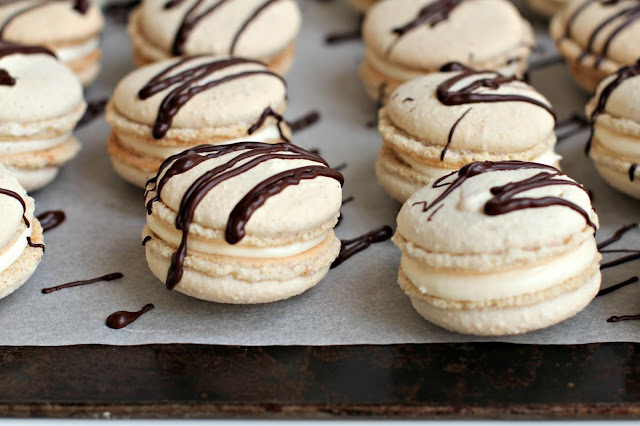 This is my very first attempt at making macarons. 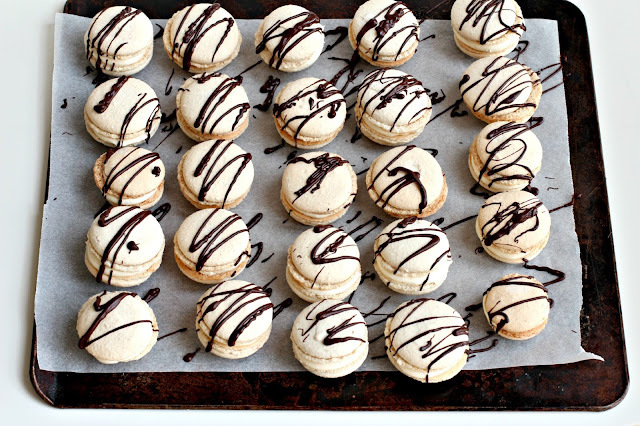 I've never even eaten a macaron before. Do you mind if I become a little obsessed? Line two or three large baking sheets with baking paper. Set aside. Put the water and caster sugar into a small saucepan, pop in a sugar thermometer and bring to the boil. Do not stir. We are making a syrup. This syrup shouldn't go above 115 degrees C.
In the bowl of an electric mixer fitted with the whisk attachment, gently beat 80g egg whites to soft peaks at low speed. Increase the speed to medium when the syrup approaches 105 degrees C. When it reaches 115 degrees C, remove it from the heat and gently pour it into the beaten egg whites in a thin stream. 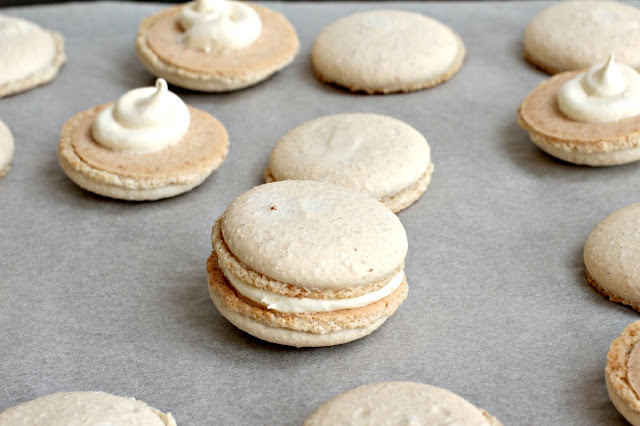 Continue to beat the meringue for 10 minutes. It will cool and become ravishingly glossy. Make a well in the middle of the dry ingredients and add the remaining (unbeaten) egg white. Mix with a spatula to make a smooth paste. Take one third of the meringue and mix it into the almond paste. 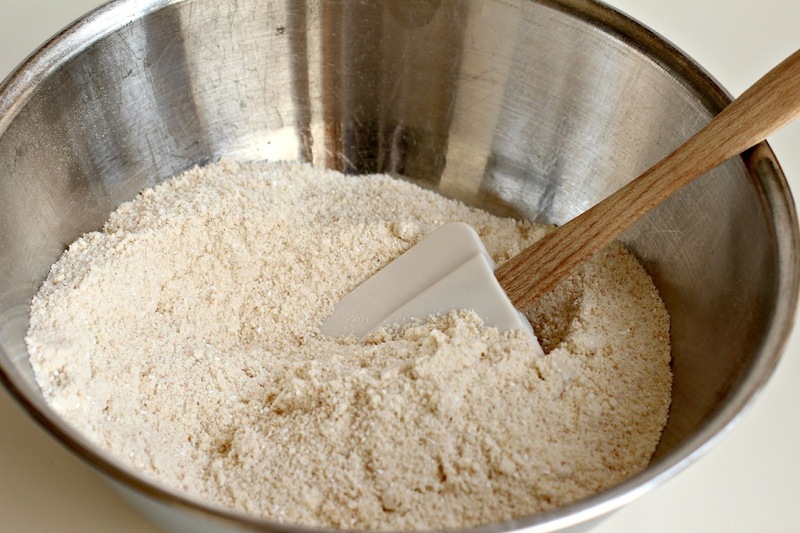 Add the rest of the mixture and work it into the batter until it becomes a thick ribbon texture. 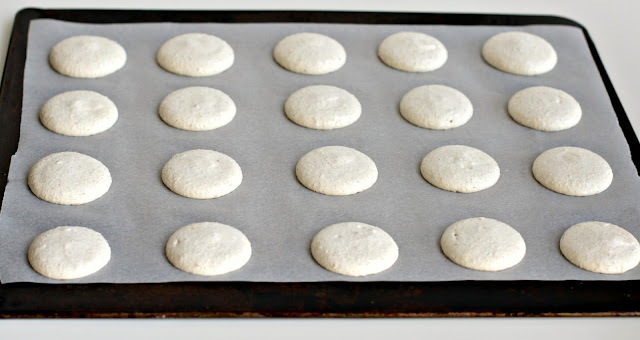 Fill a piping bag fitted with a 8mm round tip with the batter and pipe out small circles onto the prepared baking sheets. Lightly tap the bottom of the sheets and set them aside at room temperature for 30 minutes to form a crust. Bake for about 14 minutes. Leave to cool on the baking sheets for 5 minutes before peeling them off and setting them on a wire rack to cool completely. 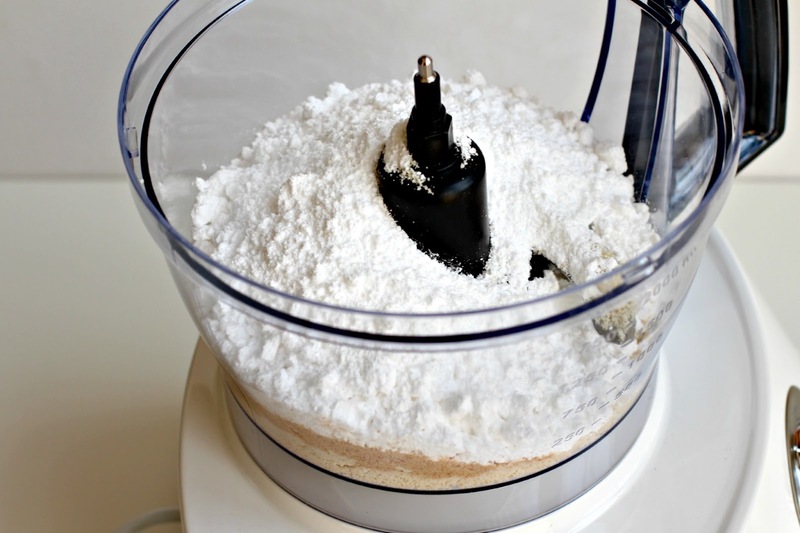 In the bowl of an electric mixer fitted with the paddle attachment, beat the butter and icing sugar until creamy, about 3 minutes. 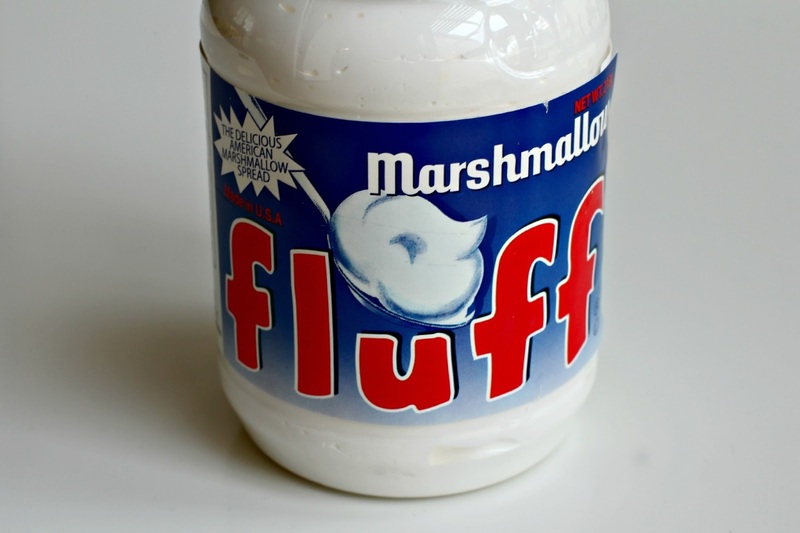 Add the vanilla extract and the Marshmallow Fluff and beat briefly to combine. Fill a piping bag fitted with a round tip with the Marshmallow filling and pipe a small about onto the bottoms of half of the macarons. Top with the other half of the macarons, creating a delicious pixie-sized sandwich. Place them on a baking paper lined baking sheet and drizzle with melted dark chocolate. Well done Jennifer, just wonderful and first attempt too ! They look divine ! Thanks Lea. I even surprised myself with my first attempt. I cannot believe this is your first time, because these are perfection!!! You continue to amaze! Thanks Marie. May be Beginners Luck? I agree with Marie. Great job on your first attempt! These are gorgeous!! I think you may have found your calling. And smokes? Off the hook, love it! Thanks Maria. I think I'm about a year behind the macaron craze, but I got there eventually. time out. Wow, really lovely looking. Haha Patty - what can I say that hasn't already been said (by me) about my obsession with s'mores? I was fully expecting a complete disaster after reading so much about how temperamental these little cookies can be... I was happily surprised. 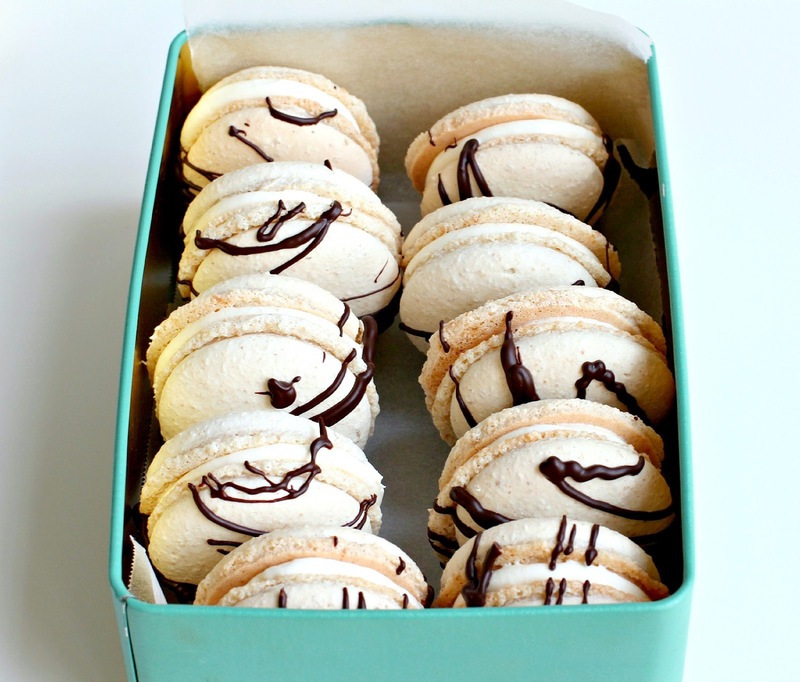 Okay, it's the first you did macarons??? WOW! You're really good because I really had a hard time doing macarons before so now I boycott this sweet haha :P & smores...I'm sure it was delicious! Thanks Gabrielle. 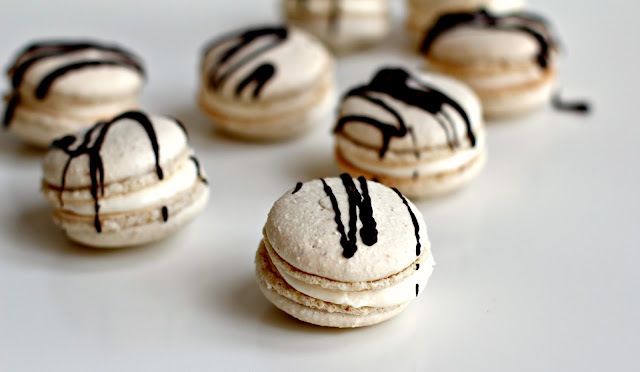 I did a lot of research before I attempted the macaron. After all my reading, I decided that I would try the Italian technique of pouring hot sugar syrup into the beaten egg whites rather than the French technique of beating the dry sugar into the egg whites. From all my reading, this technique seems to give more people success. It worked for me. yummy yummy yummy yummy. Can you save me one? I'll save you one, but you'd better hurry over. Thanks so much Dan. I'm really pleased with the results. I believe these little cookies can drive even the most experienced bakers to tears. I hope my next batch are as successful, otherwise we can put it down to beginners luck after all. Your FIRST ATTEMPT?!! You put the rest of us to shame woman! Far out. 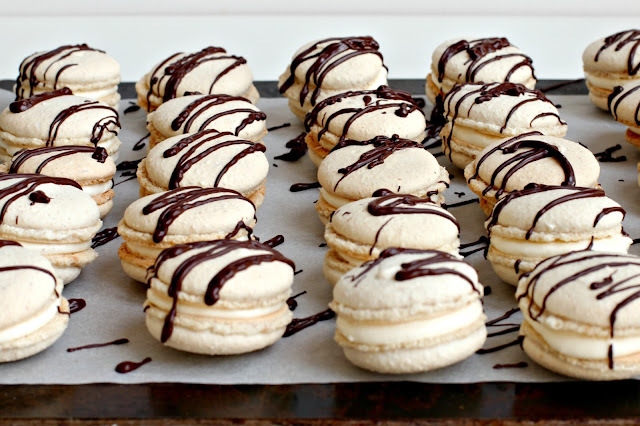 That said, I've never tried making macarons. I feel too scared of disastrous meringue failure. 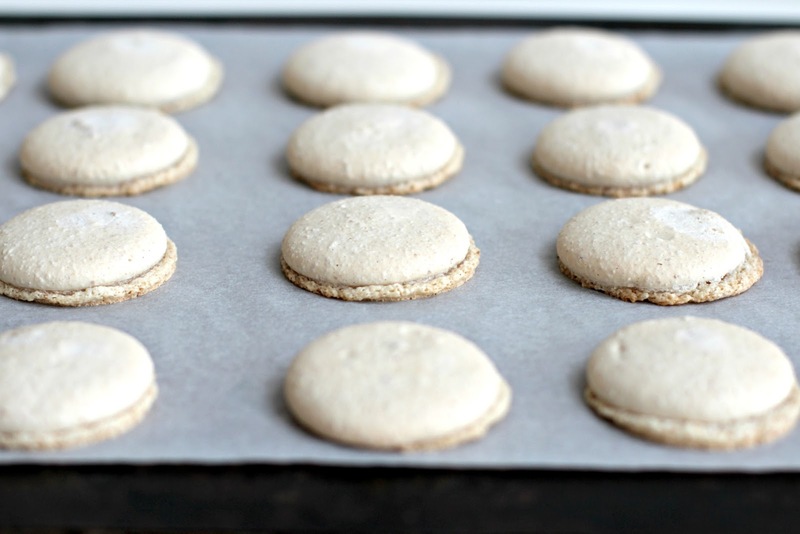 Yours even have those little macaron 'feet' that Zumbo treasures so much... I think he'd give you a flying hug if he saw this post. Yum. S'mores? Yes please. No one is more surprised than I am Laura. I've seen less feet on a centipede. 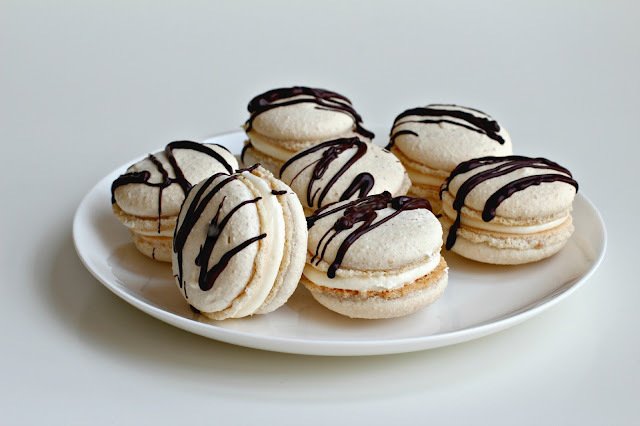 I know macarons are "so last year", but I had to give them a go, at least once. I've walked past them in shop windows and always thought they were a bit frou frou with all their daintiness and pastel shades. But I've read so much about how technical they are to make, I just had to take up the challenge. I may end up knee-deep in pastel pink and green discs by the time I'm done. Move over Ladurée! 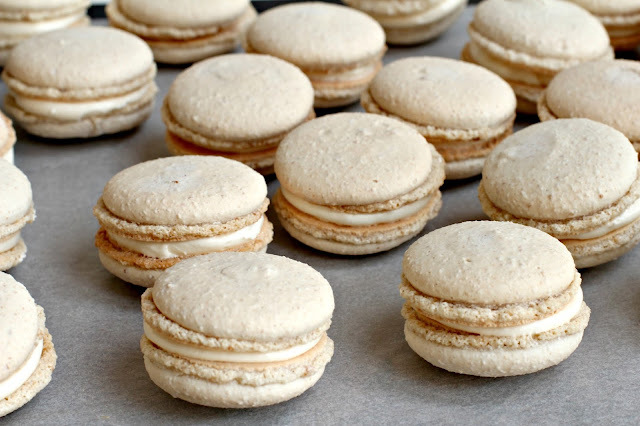 If you just want to make plain macarons not s'mores macarons, just use 200g almond meal instead of 150g almond meal plus the 50g cracker crumbs. Good luck!